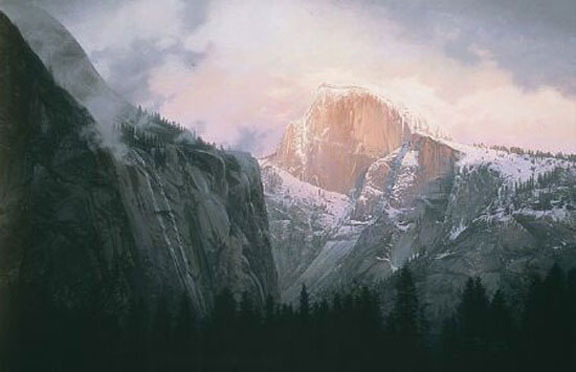 This is perhaps Stephen Lyman’s most perfect painting of Yosemite National Park—indeed. Stephen Lyman knew the trails—both charted and uncharted—and terrain of Yosemite as well the lines in his own palm. His magnificent depiction of Half Dome captures the grandeur of the landscape the way that no photograph ever could.